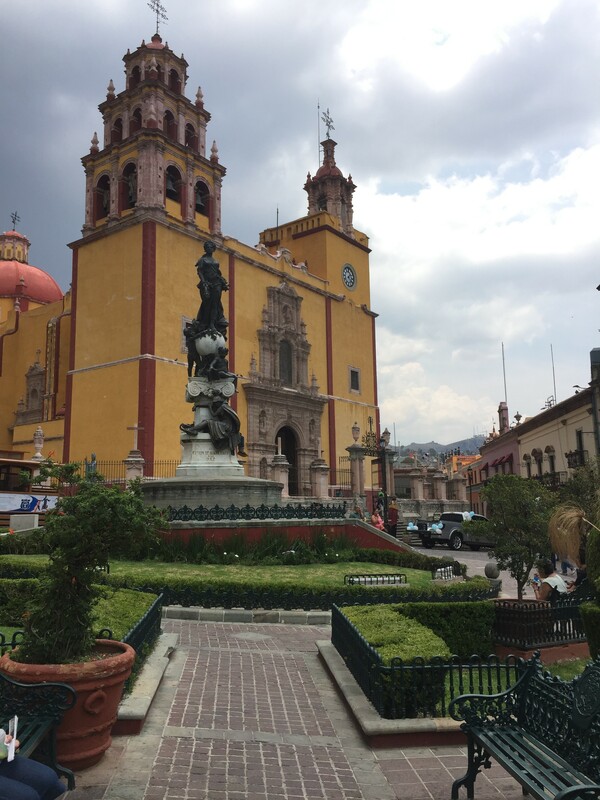 Before I was invited to the wedding of a friend, I had no idea that central Mexico was full of beautiful colonial cities. His wedding was in Leon, Mexico, a city known for being the leather capital of North America. 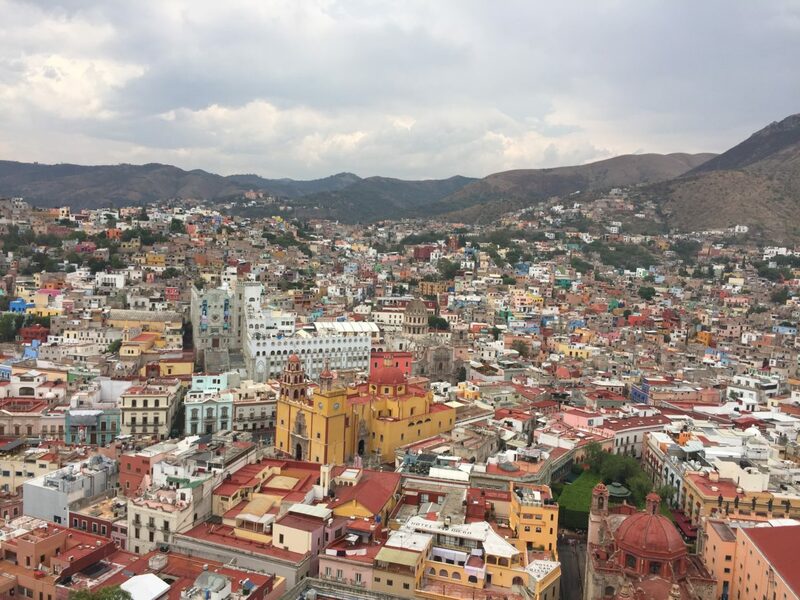 However, just one hour away was the gorgeous city of Guanajuato. I spent a day there, and it was quite memorable. 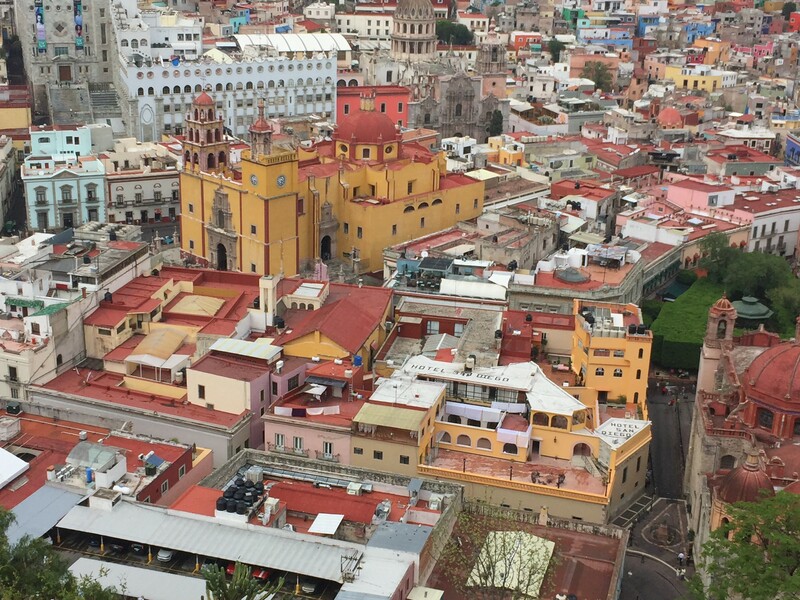 To get to Guanajuato from Leon, I took the Mexican bus company Primera Plus. Along with ETN, it is known as one of the best Mexican bus companies. There are departures nearly every hour, so I just got a ticket at the Leon station. It was around $8 US. 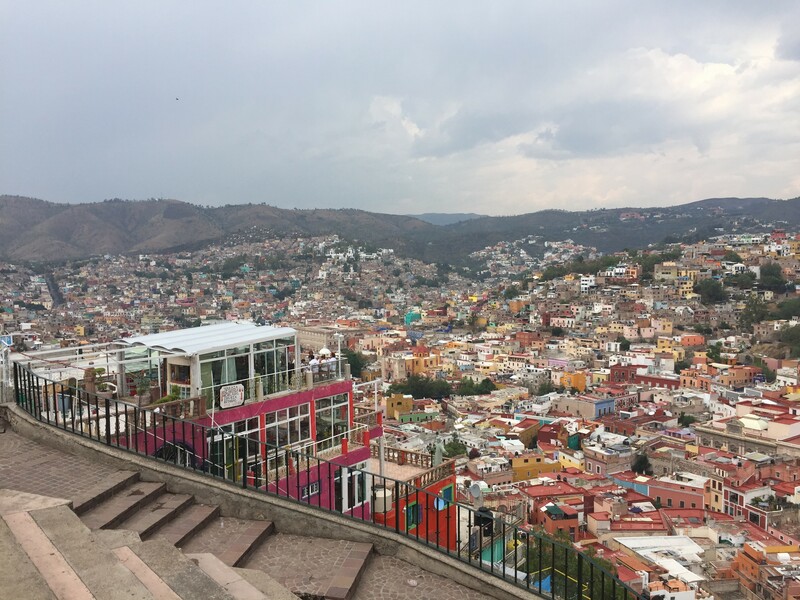 The ride was interesting as it meandered from flat Leon to the elevated Guanajuato. 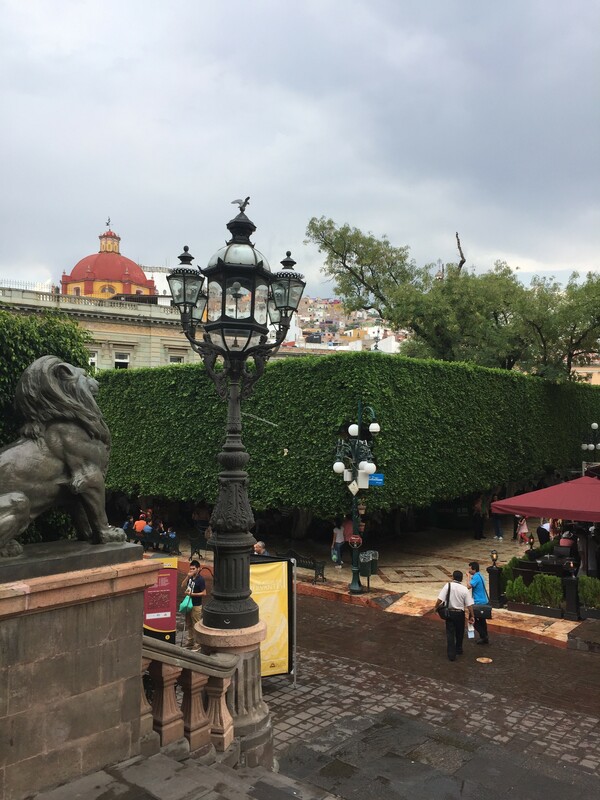 The bus station in Guanajuato was not in the center of the city, but a few minutes outside. However, there was a local bus that went into the city for 5 pesos. The local bus enters the maze of tunnels that make up Guanajuato. For this reason, an unfamiliar foreigner such as myself must alert the driver to know where to get off. I didn’t really have any idea so just said centro. The area I got off was just near the stunning yellow cathedral. 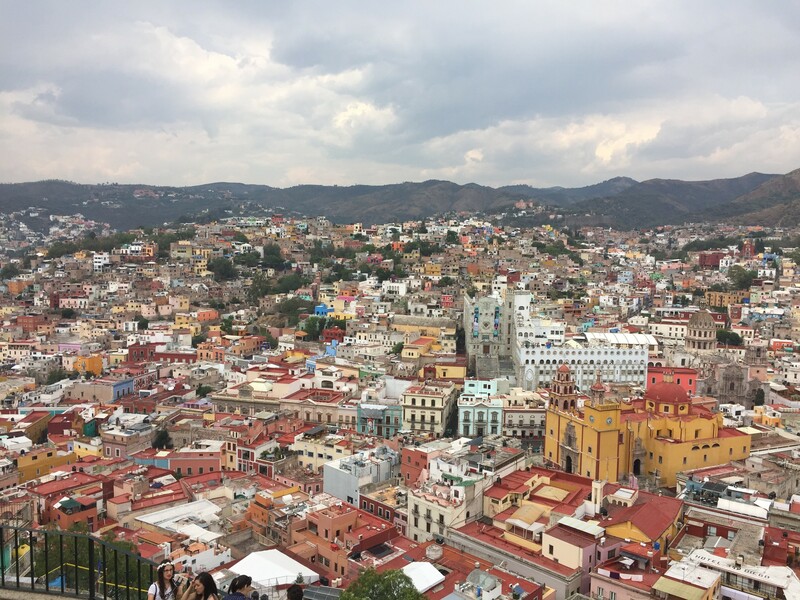 The aesthetic grandeur of Guanajuato is spell-binding, particularly for someone who had no knowledge of the region beforehand. The yellow cathedral has a small plaza in front, an excellent point from which to shoot pictures. Also, there is an outdoor tent-covered restaurant as well. Here, I had a sandwich called a pambazo, essentially a Guadalajaran torta ahogada, aka a Mexican sandwich with the bread dipped in chile sauce. This was simply delicious. Out of nowhere, rain began pouring. I went to the first store I could find that sold umbrellas, and was surprised to find wonderfully designed umbrellas for about $5 US. I’ve never seen such elaborate umbrellas before or since, and I bought a pair to bring back. 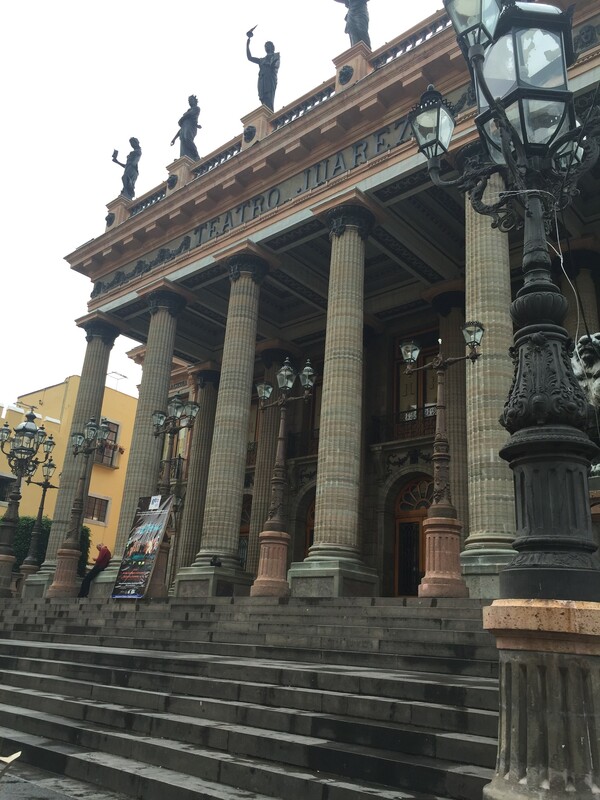 The real masterpiece of Guanajuato is the Teatro Juarez. This is a majestic theater of days past, and during certain hours visitors are allowed in. It is simply jaw-dropping. Unfortunately, pictures are not allowed in the interior room. 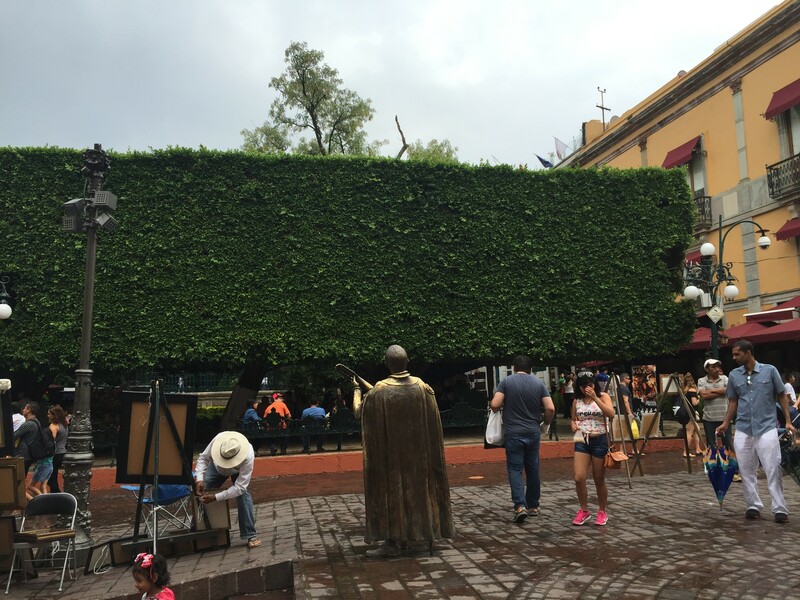 I stopped by two museums: the well-known house of the legendary Diego Rivera, and a quirky museum of Don Quixote. This was something I never would have found without Lonely Planet. Though guidebooks are falling out of favor due to free knowledge bases such as Wikivoyage, I tend to still reference Lonely Planet since chapters are available for $4.95 now. Yet another highlight was a viewpoint that was reached by taking a funicular. This view is as good as any I have taken in my lifetime. The diversity of colors of the rooftops makes is simply surreal. I also made a quick stop at the multi-story local market, Mercado Hidalgo, but this was a typical chaotic market that can be found in most Latin American cities. After this, it was back to Leon, where I had some Oaxacan tamales for dinner, sold for 15 pesos in the center square; a wonderful way to end a day I will never forget.